Just in time for the holiday season, luxury accessories maker S.T. Dupont has launched a new table-top lighter designed not only for toasting cigars, but lighting up barbecues, fireplaces, candles and any occasion that brings people together. 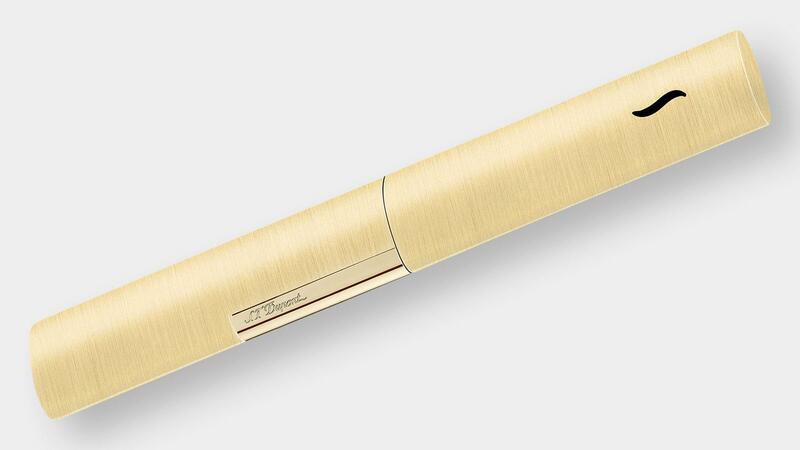 It’s called The Wand, and it’s a slender torch-flame lighter measuring more than seven inches long—meant to bring a stylish touch to hard-to-reach combustibles. S.T. Dupont The Wand is available in six finishes: Black Lacquer and Chrome ($214); White Lacquer and Gold ($214); Brushed Chrome ($240); Brushed Gold ($240); Blue Lacquer and Chrome ($214), and Red Waves Lacquer and Chrome ($214). The lighter is fueled by butane and produces a powerful, fan-like blue torch flame. The Wand is driven by a thumb-press ignition button engraved with the S.T. Dupont logo, similar to the company’s Minijet and Maxijet lighters. The Wand has two-year warranty and is available in retail stores now.